Themed “Green infrastructure: High-performance Landscapes” the conference will focus on sustainability of production processes and promotion of debate and information exchange on space and city designs. With the application of Landscape Architecture, these designs are guided by environmental preservation and social-economic benefit to the community, in addition to opportunities of aesthetic enrichment of such places. As the specific discipline of open space design, Landscape Architecture´s scope ranges from residential areas, housing developments, and parks, to renovation of entire urban areas. Besides that, Landscape Architecture can provide specialized consulting on regenerating degraded environments and formatting projects for environmental licensing in cities and natural areas. Due to the environmental crisis, there has been an increased demand for higher energy efficiency and new forms of circulation, housing, and leisure in cities. In order to achieve that, Landscape Architecture has a fundamental role in the improvement of image and safety in cities as well as the sense of self-worth of their inhabitants, having great potential to contribute to the planning of open spaces – both public and private, providing more environmental comfort, renovation of underused urban areas, recovery of brownfields, conservation and restoration of natural resources, mainly water ones, and environmental and public health services. The International Federation of Landscape Architects – IFLA – , based in Versailles, France, was founded in 1948. Its first meeting took place in Cambridge, UK. 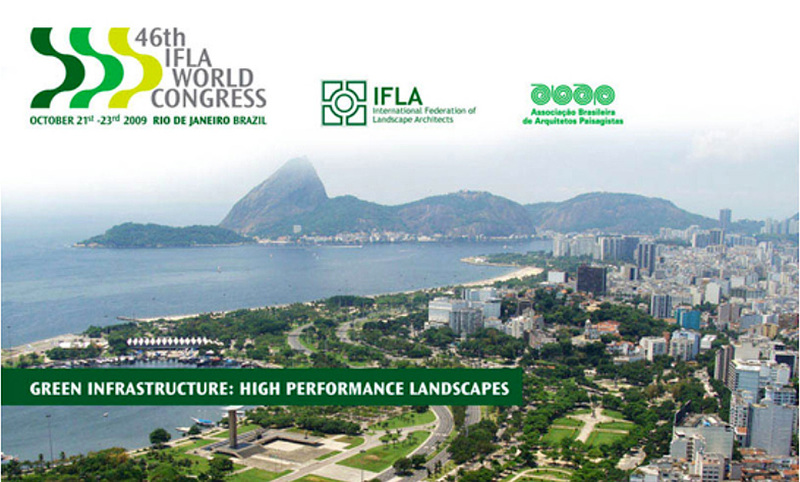 IFLA is the worldwide organization that represents all landscape architects, having as partners UNESC/ICOMOS, ONU/HABITAT, UIA, and IUCN.